Chirognomy, alias palm reading, is an ancient art practised since ages. Curiosity of human mind to look in to the future gave ancient learned men like Aristotle to seek this field, and mankind is sincerely indebted to them for their valuable contribution to this field. Wandering gypsies were said to have great knowledge of this art in the ancient days. Desbarolles, a french seer too wrote a great work on chirognomy, "Die kunst chiromanta". 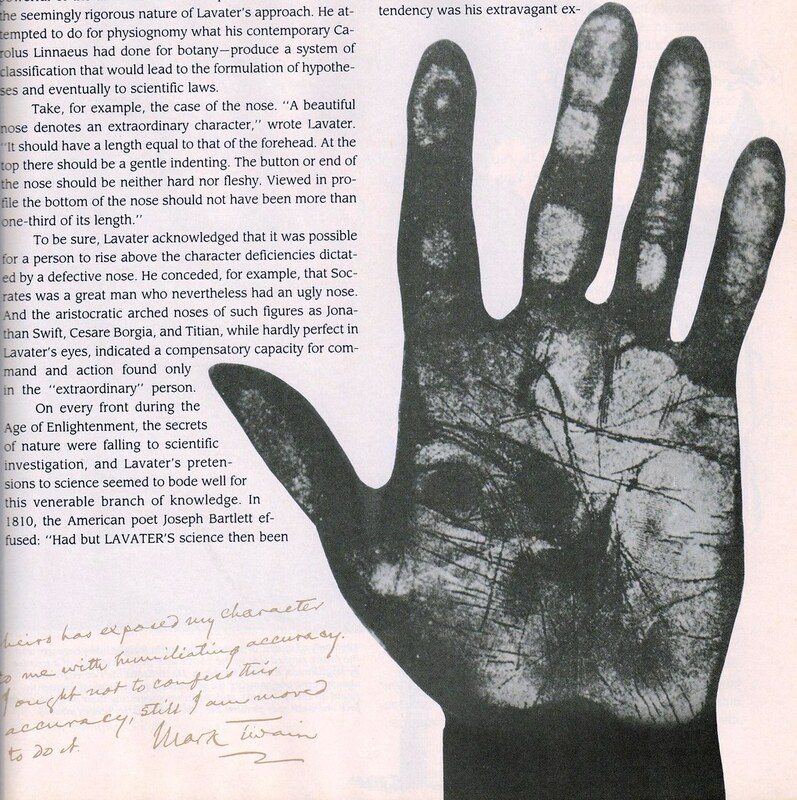 A great palmist of recent days was William Sanders, who read hand lines by the pseudonym of Cheiro, in London. His accuracies in analysing lines of the hand grew so much that even Mark Twain was lured to visit him. He was so amazed to see his past deciphered most accurately, that he gave a written autograph affirming the genuinity of his analysis. Mark Twain asked Cheiro of insight in to future. He was told that he would be receiving astonishing amount of money suddenlyin 1911. Mark Twain used to cut every day of his diary page. In october he received the desired money, by Herbort & Jenkins for all his books copyrights.